Serotonin States and Social Anxiety. JAMA Psychiatry. June 17, 2015. 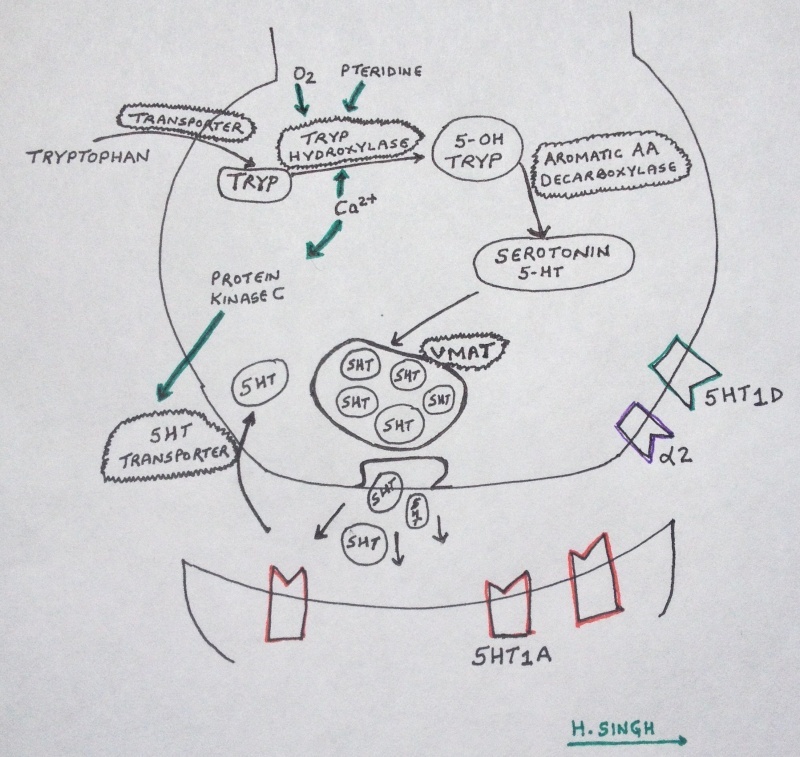 This Neuroscience and Psychiatry article published in JAMA Psychiatry online on June 17, 2015 discusses the role in social anxiety of a novel disrupted regulatory sequence in serotonin neurochemistry resulting from overactive serotonin signaling. 1. Some patients with social anxiety disorder respond exceptionally well to SSRIs. 2. Social anxiety disorder is a frequent precursor to major depressive episodes. 3. Social anxiety disorder is the most common comorbid disorder in patients with anxious depression. Serotonin synthesis is highly regulated at many levels. Check the figure below demonstrating the role of enzymes, transporters, receptors, oxygen, pteridine cofactor and intracellular calcium in serotonin pathway regulation. - Greater number of plasma membrane SERT was found. Q: HOW TO EXPLAIN THESE TWO FINDINGS NOW? ANS: Focus on the extracellular serotonin signaling levels. This article reports that Social Phobia is linked to high levels of Serotonin.